Cameras should play an essential role in any classroom. They need to be freely accessible and abundant. Cameras can tell stories, document learning adventures and produce images for inclusion in student projects. Today, still and video cameras are converging with each doing the other quite well and inexpensively. The following are my current favorite cameras at all price points and for use by kids of all ages. 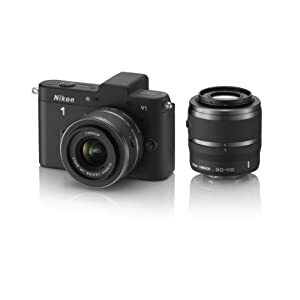 The Nikon 1 V1 is somewhere between a point-and-shoot and DSLR. It is mirrorless, works great in low light, shoots up to 60 frames per second (capture a balloon popping) and records beautiful HD video, with slow-motion available. It’s a solid camera with really fine compact lenses. The battery life is terrific. The 30-110mm lens isn’t much bigger than the 10-30mm one and my photos at a Jets game look like I work for Sports Illustrated. 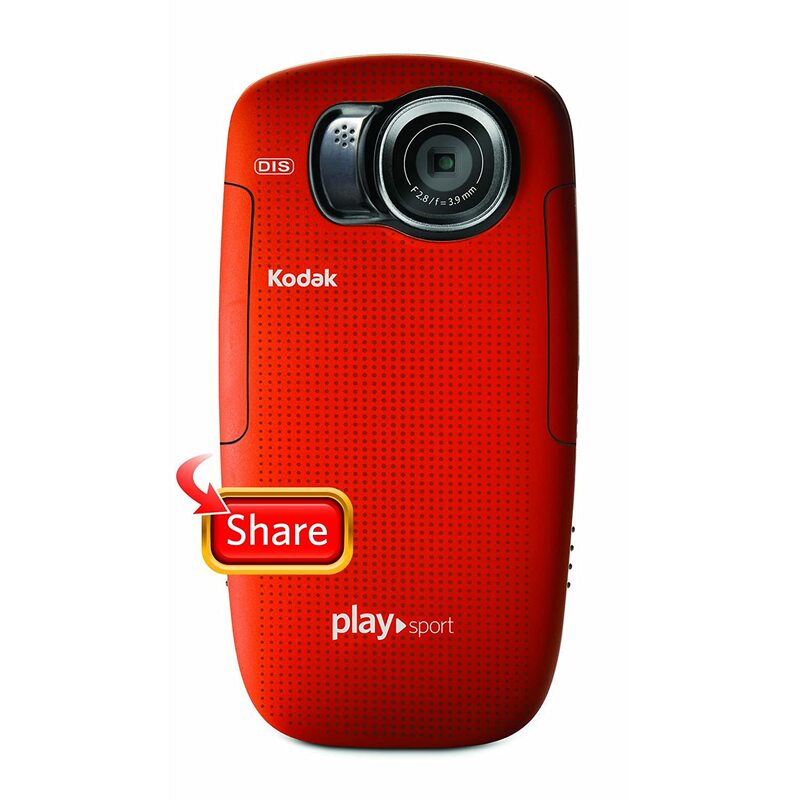 While supplies last, you can buy a waterproof and rubberized Kodak Playsport Zx5 video camera. This camera takes a licking and keeps ticking. It shoots stills and HD video. The quality is not as good as the other cameras I recommend, but this camera fits in your pocket, is waterproof and has a battery life capable of recording an hour or so of video for $95! I’ve bought several of them. 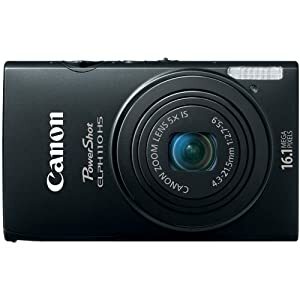 The tiny $!51 Canon PowerShot ELPH 110 16.1MP Digital Camera with 3-Inch TFT LCD takes great photos and records 1080P HD video. Unlike the other cameras, this one has a flash if that’s something you like. Every classroom should have a few of these babies! If you need a classroom monkeycam or to strap a rugged high-definition video camera onto an underwater skateboard, then you need the $250 GoPro HD Hero2 Edition. This tiny camera is designed for extreme activity and is capable of time lapse photography as well. It is time for us to stop arguing against high-stakes testing. Americans LOVE the idea of high-stakes as long as it means that their kid beats someone else’s kids at school. We are losing both the battle and the war of ideas. I humbly suggest that we replace high-stakes testing with the term, constant testing. Parents, policy-makers and taxpayers are likely unaware that kids in some jurisdictions spend dozens of days each school year taking standardized tests. That doesn’t include the costs or time wasted on endless test-prep. This practice is obviously unsustainable, excessive and nonsensical. This subtle rhetorical shift to constant testing has the potential to move public opinion in our direction. Dr. Stager’s Prescription for Improving S.T.E.M. The first step in improving Science, Technology, Engineering and Mathematics (S.T.E.M.) in our classrooms is to find evidence of its existence. S.T.E.M. currently suffers from the Sasquatch Syndrome. People have heard of S.T.E.M. just like they have heard of Bigfoot, but they’ve never actually seen either. We are supposed to do science after testing season. The science teacher is on maternity leave. Nobody knows where the key to the science materials is. Our school is focusing on numeracy and literacy. Science is supposed to happen on Mondays, but we have had a lot of holidays. Not a single student teacher working in several dozen Southern California elementary schools could cite a single incident of science being taught. Forget about engineering or computer science. After all, it’s not like little kids are curious or enjoy exploring the world around them. You couldn’t possibly teach reading or language arts in a scientific context, right? Come see Gary Stager speak at the forthcoming events! A list of workshop and keynote address topic may be found here. On October 12, 2012, MSNBC host and former West Wing writer, Lawrence O’Donnell, dedicated his “Rewrite” commentary to the sorts of changes he believes would make presidential debates more informative, thoughtful and effective. Once you endure the first few minutes of a clip from the fictional West Wing, O’Donnell makes a quite compelling case that the current debate format favors superficiality over substance and is a poor predictor of a candidate’s success as President of the United States. O’Donnell is making the case that the President must be deliberate, collaborative and well-informed. The pop-quiz format of the debates reward memorization and superficiality. In school terms, the debates measure the wrong things and focus on inauthentic tasks. This misdirects resources and distracts teachers from sound pedagogical practices. I won’t tell you O’Donnell’s recommendations, but most if not all could be applied to matters of curriculum and assessment. You should watch for yourself! You may be able to watch the video here or here if you’re using a dopey iPad.